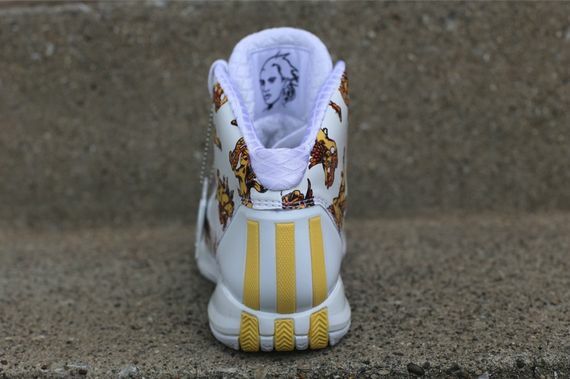 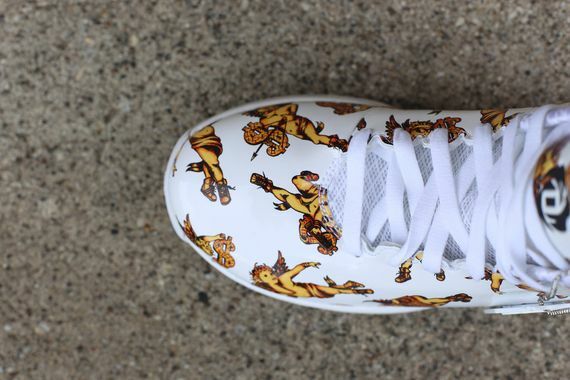 Jeremy Scott is known for his wild concepts on several Adidas Originals but today, he’s added his own take on a newer model belonging to Derick Rose. 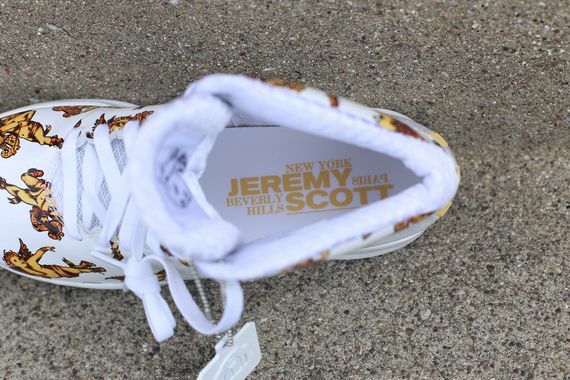 The Signature Shoe has been given an all white base, featuring gold angelic figures rocking gold chains, holding stereos and overall, a must have for any fan of J Scott’s work. 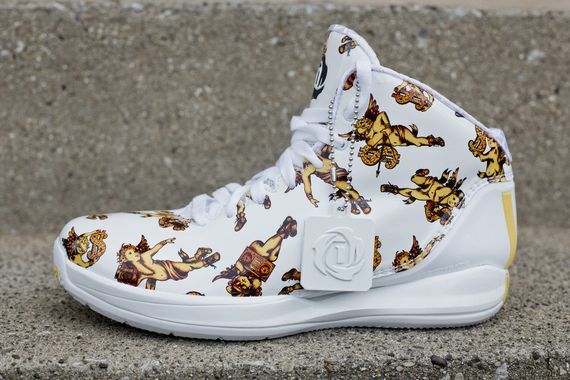 These are available over at Oneness so head over and pick your pair up now.